Sydney - Australia's new director of rugby Scott Johnson on Friday said there was no reason why the Wallabies can't win the Rugby World Cup despite coming off their worst season in decades. Johnson was recruited to the newly-created role from a similar position with Scotland after mounting criticism of under-siege coach Michael Cheika, who managed just four wins from Australia's 13 Tests last year. "We're not a million miles off," he said, about going one better and winning the title at this year's tournament in Japan. "We have as much chance as anyone else. We have a pretty formidable record but we can't rely on that, and don't expect to. "We are trying to get prominence in a very dynamic sporting landscape and we want to stand for something. Our rugby DNA is acumen and skill and that's what I want to be." 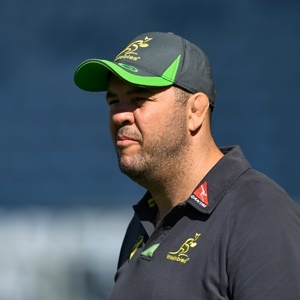 But Johnson insisted the relationship would be "dynamic" with Cheika focused on coaching the team while he assumes responsibility for management of the Wallabies' off-field programme. "Cheik has got great drive, great passion to get a team going good and I understand that," said the Sydney-born 56-year-old, who became Scotland's director of rugby in 2013 and oversaw a renaissance. "You're going to get times where we disagree and that's fine. If you always agree you've got one too many, haven't you?" he added. "So it's going to be dynamic because we both want the best for the game and for the team. It'll be good."